Blog › Aviation › What is Competence Management? In essence, competence management is a means of evaluating, cultivating and managing the competence of employees and/or third party contractors. Organisations manage competence with a view to ensuring that individuals are suitably skilled and knowledgeable to perform specific tasks or sets of tasks. Competence Management Systems (CMSs) may also be used to carry out talent management and succession planning. By employing an effective competence management system, an organisation can foster high performance on both an employee and organisational level. In the field of aviation, high performance translates into improved SAFETY, EFFICIENCY, COMPLIANCE and SERVICE QUALITY. A competency is simply a behaviour, skill, value, performance dimension or performance standard. Competencies can be defined and combined to build a picture, or matrix, of traits and requirements that are necessary to effectively carry out a task. Competence assessment, particularly in relation to skill, value and behavioural competencies, is not a binary state. It is possible to state that someone partially demonstrates competence in these areas and that additional supervision or training is required. Why is competence so important in the aviation maintenance sector? Aircraft maintenance involves a multitude of complex tasks, with a spectrum of possible degrees of variation and very exacting tolerances. 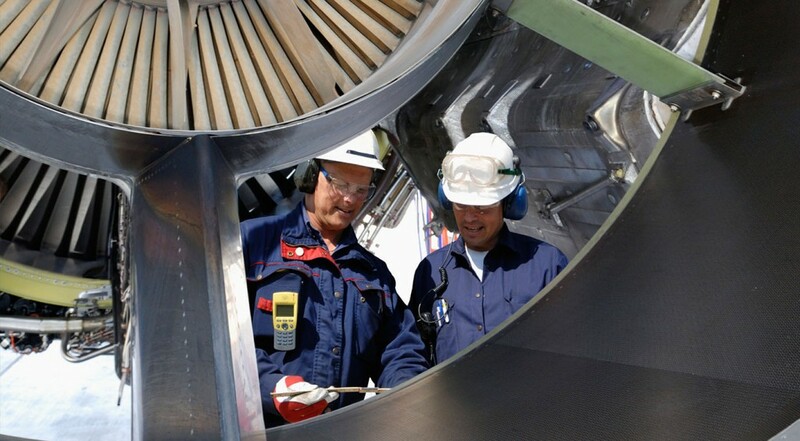 Differences in manual type, aircraft type and environmental factors require engineers and maintenance personnel to be performing at the highest standard. It is essential that these individuals possess the competencies necessary to undertake the required work. The IATA Safety Report, 2015 found that in 81% of accidents, aircraft malfunction was a contributing factor, with 40% involving a maintenance-related event. This data, is indicative of findings over the last decade that highlights maintenance activity, and deviation from maintenance standard operating procedures as a substantial threat. The reaction to this trend in intelligence, has been the creation of legislation to empower authorities such as EASA to enhance their regulatory requirements, placing greater emphasis on organisations to ensure the competence of their work force. The requirements for competence are defined in regulations such as EASA Part 145 AMC 1 145.A.30(e). This portion of the regulation outlines the acceptable means of compliance for personnel competence in an approved maintenance organisation. All of these competence criteria should be subject to validation and recording. ELMS is the first competence management system of it’s kind; providing a complete competence solution to the aviation maintenance and planning sector. The ELMS application allows users to build a complete record of their training, qualifications, licences and authorisations in relation to a specific job role. The application also allows users to compile a complete digital record of their task experience which can be validated by a supervisor. From an organisational perspective, ELMS allows managers, supervisors and quality assurance to monitor competence for compliance purposes, improve efficiency, reduce costs, and improve safety. The application can also be used to aid training and development planning by identifying gaps and defining learning and experience pathways.